The Japanese love their onomatopoeia and can even have an entire conversation using just the sounds of what they are talking about. This is what GUBIGABU is, an onomatopoeia for the sound of eating and drinking to your heart’s content. 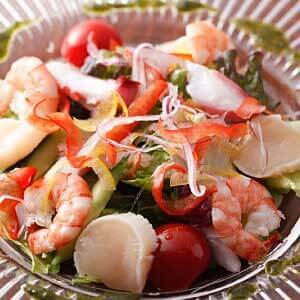 Choose from a menu with a variety of items from pastas to Tajima brand name beefsteaks. Come and “gubi-gubi” your drink and “gabu-gabu” your food all the while enjoying a lovely view out onto the willow tree lined Otani River. A great spot to try all four of the area’s locally brewed beers on tap. 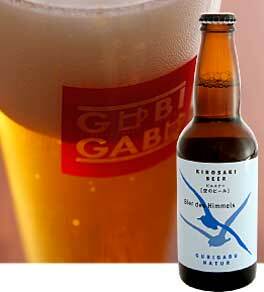 Gubigabu is run by the ryokan Yamamotoya which is also the owner and maker of these delicious local brews. All four flavors are made with 100% malts. Why is this something special? 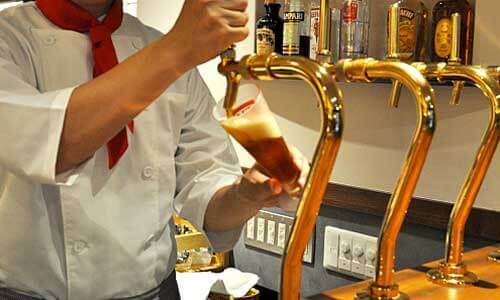 Because many of the common beers found in the stores are going to be happoshu, “beers” made with less than 67% malts. But not here. Plus, these beers were made specifically to match local flavors, starting with the “CRAB BEER”. Check out all four below. This is the most standard of beers and so is one of the easier beers to drink, even for those that don’t often drink beer. A 100% malt beer with a strong fragrance and light flavor that tastes great in easy season and easily pairs with any meal. 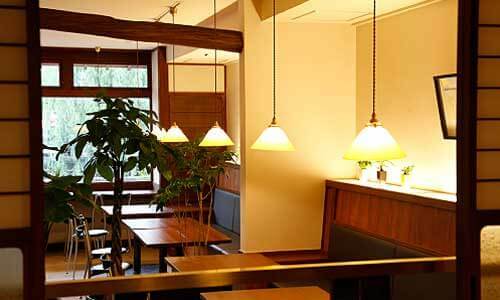 It is also one of the most refreshing to have after a hot soak in the onsen, especially if you have just come from the closest bathhouse, Yanagi Yu which has some of the hottest waters in Kinosaki. 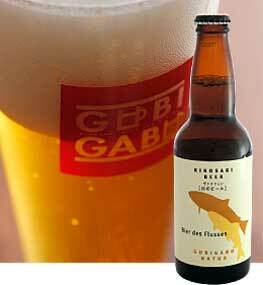 A stronger blonde beer with a lovely balance of wheat malts. Compared to the SKY BEER this RIVER BEER has a slightly sweeter or fruitier flavor but is just as refreshing and easy to drink. The fruity notes of the beer pair well with the seafood or counterbalance stronger or spicier flavors like a curry rice or steak bowl. Contrary to the beer’s name, CRAB BEER, it does not have crab in it. It is named so because it was formulated to pair well with the town’s famous crab that is popular during the winter season, hence the snowflake motif also found on the label. This beer is popular for its slight sweetness and crisp hoppy flavor, although it is a bit stronger in flavor it is still an easy one to drink. This is the fullest bodied beer of the Kinosaki beers. 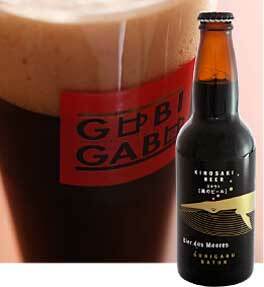 You can taste the roasted malts and the complimentary caramel flavors as you sip on this beer. 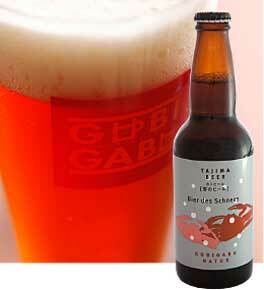 The roasted malts in this beer goes well with grilled foods, rich stews or salty foods. 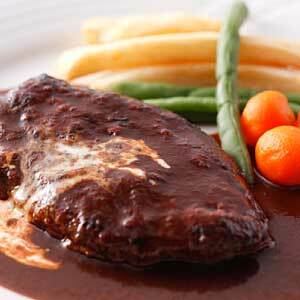 Try it with the restaurants hamburger steak, fillet steak, Tajima beef curry rice or even a bowl of nuts if you are just looking for a light snack. There is a wide range of items on Gubigabu’s menu that include seasonal dishes and Tajima beef plates. The restaurant changes its menu depending on the time of the day. The lunch menu is available from 11:30 to 14:00, dolce (sweet/cafe menu) from 14:00 to 17:00 and dinner from 17:00 to 22:00. The menu is pretty extensive and changes throughout the year depending on the availability of seasonal and local produce. They have things like pasta, Tajima beef curry infused with Kinosaki beer, Tajima beef steak rice bowl, hamburger steak, salads, pancakes and more. On the drink menu you will also find soft drinks, a choice of all four local beers on tap, wine and various cocktails. To get an idea of what is on the menu before you go you can check out an online version of their menus at the link below. 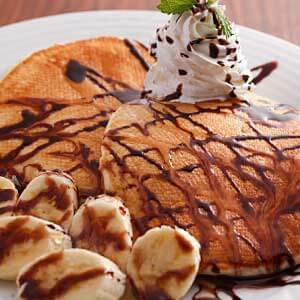 At the restaurant, you will find both Japanese and English menus available. 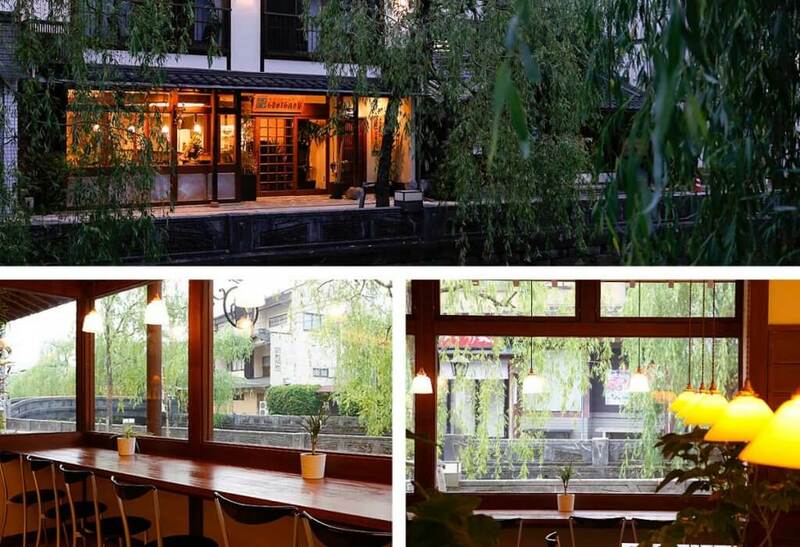 Gubigabu is located on the ground floor of a renovated 3-story wooden ryokan and faces out onto the Otani River, a symbol of the town with its arched stone bridges and swaying weeping willow trees. 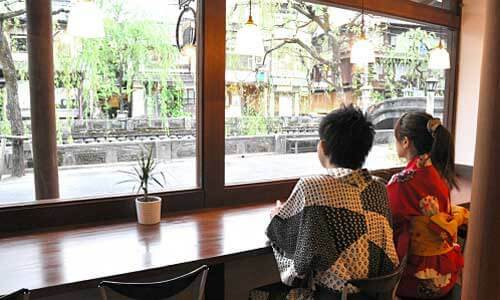 A few meters from either side of the restaurant are two of the town’s seven bathhouses, Yanagi Yu and Ichino Yu. 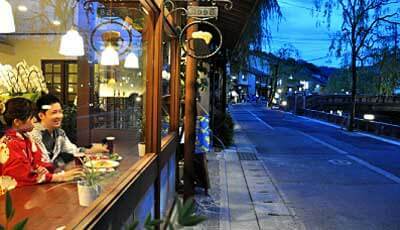 A great location for people who are looking to take a quick break from hot spring hopping and grab a delicious treat or a cold beer to refresh. 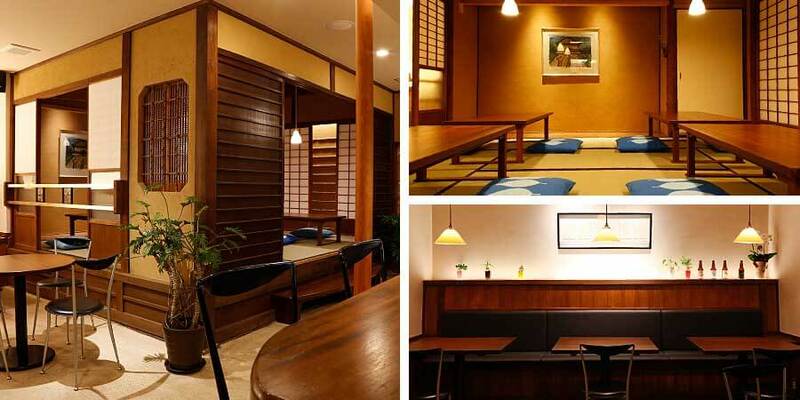 Fashioned after a traditional Japanese country house. It has all the charms of rural Japan with a modern elegance. Take your choice of open seating. The large panoramic windows in the front offer beautiful views of the Japanese willows and arching stone bridges. The atmosphere becomes even more relaxing and romantic at night when the lanterns along the river are lit. A friendly atmosphere perfect for enjoying a cold beer after the hot springs or chatting with friends over a light or full course meal. Offers a beautiful view out onto the Otani River and is perfect for people watching. 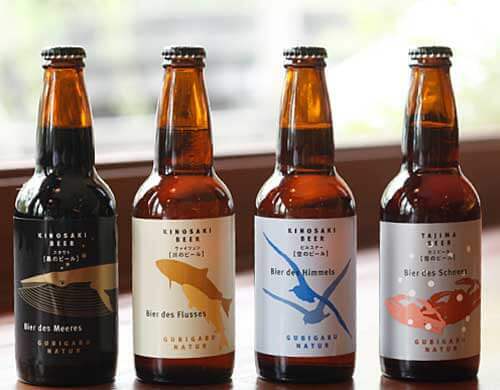 Enjoy all four of Kinosaki Onsen's local beers on tap. Information listed below was last updated 06/2018 and is subject to change.Contact the business directly for updated information. Note, most businesses can only speak Japanese.